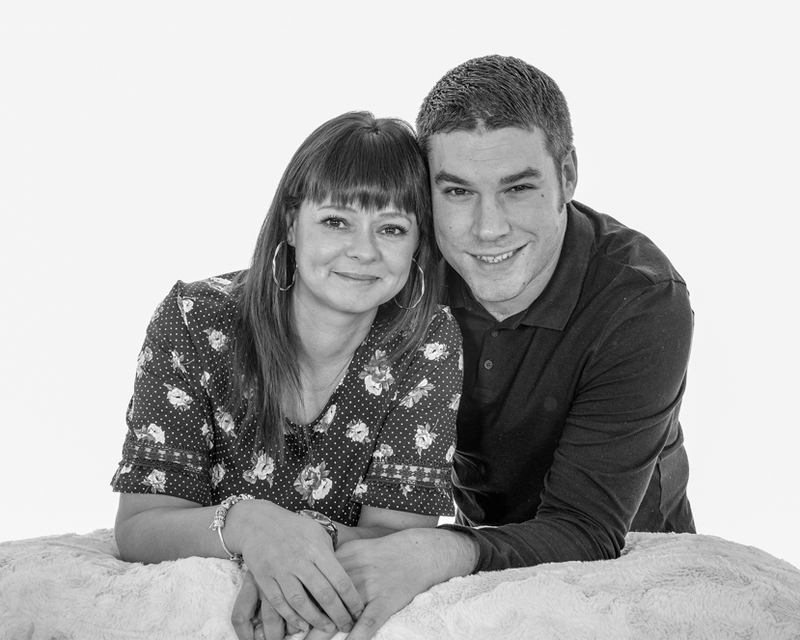 An Engagement Photo Shoot is the perfect way to meet you’r wedding day photographer. Giving you the opportunity to get to know them and make sure they are right for you. 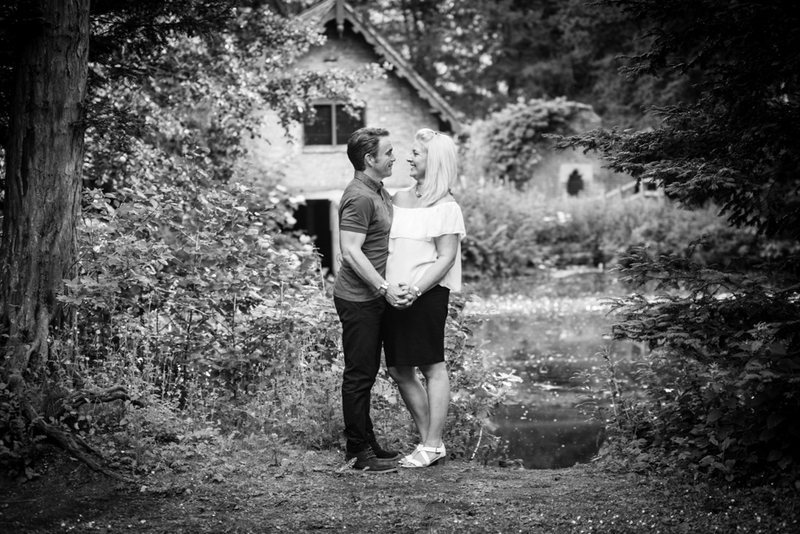 Our Engagement photo shoots are traditionally done out on location, taking advantage of the beautiful countryside on our doorstep. This always makes for a beautiful backdrop whatever the season. Although if the British weather fails us, or your preference is indoors, the shoot can be done in the comfort of our studio. A shoot in the studio gives you the opportunity for an outfit change if you wish. 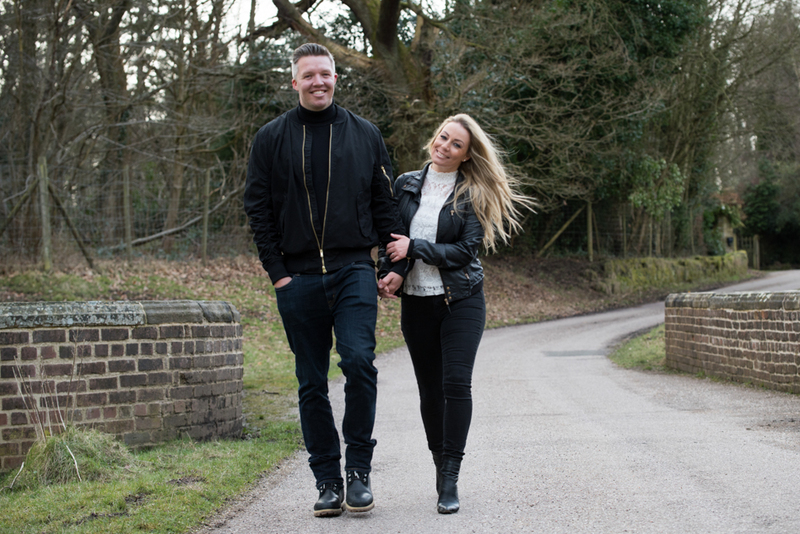 Our Engagement shoots last around an hour, this is the perfect way to help put you at ease in front of the camera, a little practise run for the big day. After the shoot, Chris will work his magic on the images and once ready you will be sent a link to a secure login to access and view your photos online. This is the same method used for our weddings. At your leisure you can browse the images and select 30-40. Your chosen images will be used to create a beautiful mini album for you to keep. 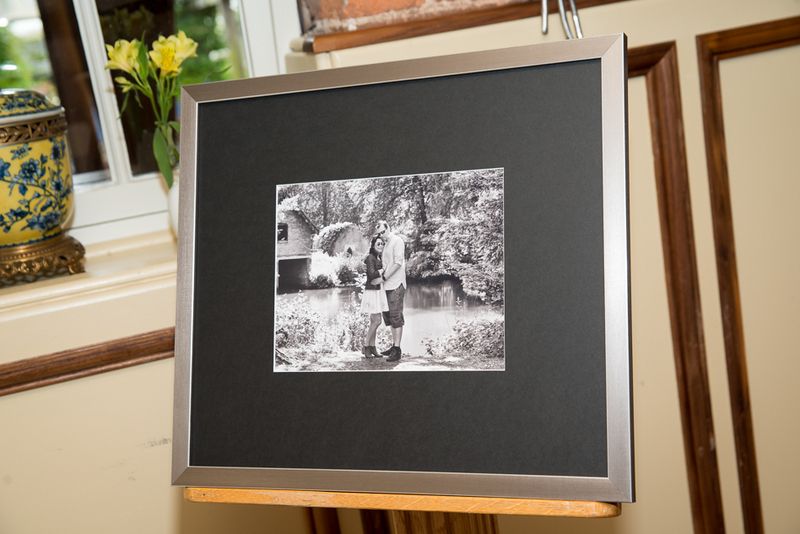 You then choose your favourite image with this Chris will create a stunning framed signature board, frame chosen by you. This will be displayed at your wedding venue for your guests to write their best wishes on, a contemporary replacement for the traditional guest book. The fun and relaxed Engagement Photo Shoot is a wonderful experience, which is fast becoming part of a modern wedding these days. Feel free to use the images on social media, a great way to let your family and friends know about your forthcoming Wedding Day. You could even use them for a save the day or wedding invite. Below are a selection of images from other couples that have enjoyed this experience. If you would like to find out more about my wedding photography please have a look at my FAQ page here.